Ubon Ratchathani (often in short Ubon, Thai: ) is one of the north-eastern provinces (changwat) of Thailand, and the countrys easternmost. Ubon is about 600 km (370 mi) away from Bangkok. Neighboring Provinces are (from west clockwise) Sisaket, Yasothon and Amnat Charoen. To the north and east it borders Salavan and Champasak of Laos, to the south Preah Vihear of Cambodia. At Khong Chiam the Mun river, the biggest river of the Khorat Plateau, joins the Mekong, which forms the north-eastern boundary of Thailand with Laos. It is called Maenam Song Si or the Mun River alluvium because the brown water from Mekong River is mixed with blue water from Mun River. It is located about 84 km (52 mi). from Ubon Ratchathani City centre. The area in the Dangrek Mountains where the borders of the three countries Thailand, Laos and Cambodia meet is promoted as the Emerald Triangle, in contrast to the Golden Triangle in the north of Thailand. The Emerald refers to the large intact monsoon forests there. Another natural place is namtok Saeng Chan. This waterfall is 1 km (0.62 mi) from Thung Na Muang Waterfall. The city was founded in the late 18th century by Thao Kham Phong, descendant of Phra Wo and Phra Ta, who escaped from King Siribunsan of Vientiane into Siam Kingdom during the reign of King Taksin the Great. Later Thao Kham Phong was appointed to be “Phra Pathum Wongsa" The first ruler of Ubon Ratchathani. In 1792 Ubon Ratchathani became a province, and was also the administrative center of the monthon Isan. Until 1972 the Ubon Ratchathani Province was the largest province of Thailand by area. Yasothon province was split off from Ubon Ratchathani Province in 1972, followed by Amnat Charoen province in 1993. Before it became a province. Ubon Ratchathani was the administrative center of the monthon Isan, of which monthon Ubon was split off. In 1925 it became part of monthon Nakhon Ratchasima, with the abolishment of the monthon in 1933 the province became a first level subdivision of the country. Thung Si Mueang (????????????) - is a landscaped public park in the heart of the city in front of the city hall. It houses an imitation of a carved candle sculpture, health park, and playground. City Pillar Shrine (????????????) - Located at the southern corner of the field, the sacred pillar was built in 1972. Monument of Phra Pathum Worarat Suriyawong or Chao Kham Phong (??????????????????????????????? ???? ????????) - Phra Pathum Worarat Suriyawong is the founder of Ubon Ratchathani during 1778-1795. Sculpture of Somdet Phra Maha Wirawong or Tisso Uan (???????????????????????????? ???? ????? ????) - a famous monk who was well versed in Sutra and Vipassana. Monument of Goodness (????????????????????) - The monument was built by WWII PoWs to honour the generosity and goodness of the people of Ubon Ratchathani. Sculpture of Harmony and Progress (?????????????????????????????) - The sculpture represents the harmony of 4 countries: Thailand, Lao PDR., Cambodia, and Vietnam. Wat Thung Si Mueang (???????????????) The Buddha’s footprint is housed in the Ubosot which mirrors art blending between the early Rattanakosin era and that of Vientiane. Another important building in the temple is the Ho Trai - the Hall of Tipitaka scriptures. The wooden hall was built in the pond to protect the Tipitaka from insects. Wat Si Ubon Rattanaram or Wat Si Thong (?????????????????? ???? ?????????) - The Ubosot houses a sacred Buddha image known as “Phra Kaeo Butsarakham”. The Buddha image, in the attitude of subduing Mara, is carved from topaz into the Chiang Saen style. Each year, in the Songkran Festival, people parade the Buddha image for the people to pay their respects to and bathe. 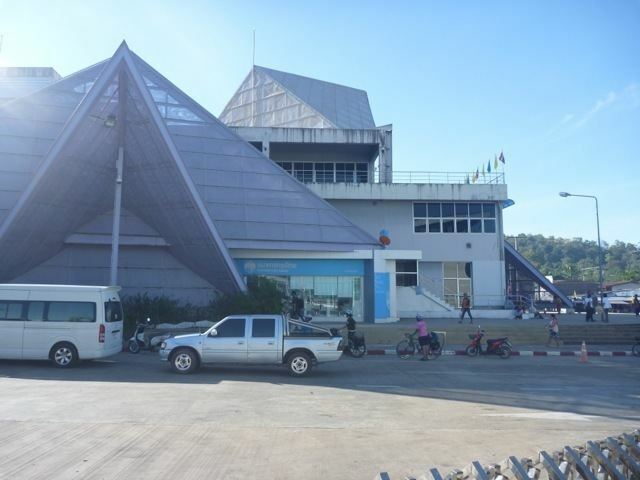 National Museum of Ubon Ratchathani (????????????????????? ???????????) - The single-storey hip roofed building, built in 1918, once served as the city hall before it was handed to the Fine Arts Department. The museum has exhibitions on local geography, history of the city’s establishment, archaeological fine art objects, local handicrafts and folk games. The Golden Jubilee Art and Cultural Centre (????????????????????????????) - The 7-storey building in contemporary Isan architecture was built to commemorate the Golden Jubilee Celebrations of the Kings accession to the throne. Princess Maha Chakri Sirindhorn presided over the opening ceremony on 11 December 2001. Wat Chaeng (???????) - The Ubosot, which was only completed 24 years later, is noted for its architecture and rare woodcarving. As a heritage site, the Ubosot is well preserved in its original condition. It won a Certificate of Honour from Princess Maha Chakri Sirindhorn in the ‘Architect 87’ Exhibition. Wat Maha Wanaram (????????????) - It was at first only a ‘Samnak Song’, a monastic residence, for Vipassana monks. According to a stone inscription found behind the principal Buddha statue, Phrachao Yai In Paeng, it was built in 1807. 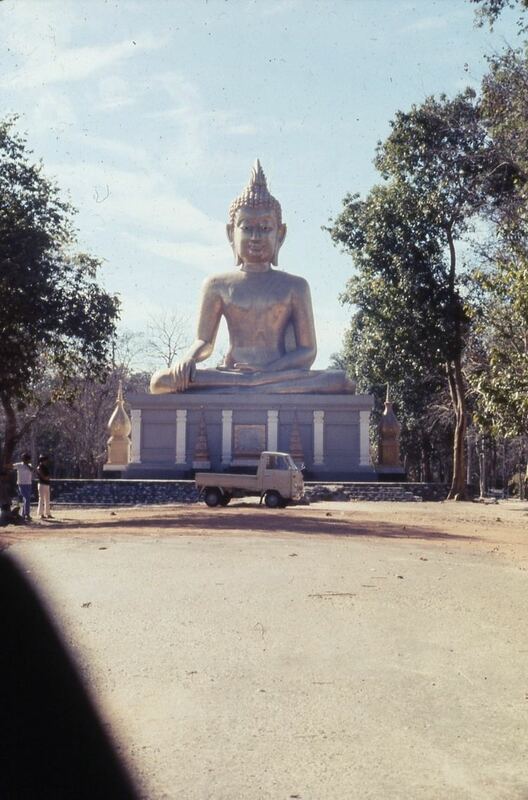 The stucco Buddha statue, in the attitude of subduing Mara, was built in the Laotian style. Wat Burapharam (???????????) - The temple once served as a residence for famous meditation monks. Today, the temple houses lifelike stone figures of these monks. Wat Supattanaram Worawihan (????????????????????) - This is the first Dhammayutika temple of the province. The temple has a special Ubosot designed by a royal highway engineer Luang Sathit Nimankan (Chuan Supiyaphan). 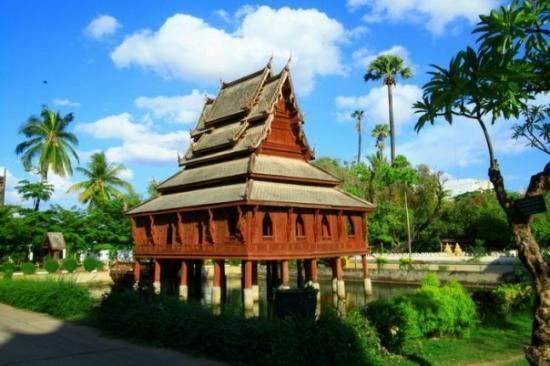 It has a Thai-style roof, western style hall and Khmer-style base. Hat Wat Tai (?????????) - The beach situated in the middle of the Mun River. During the dry season, its white sandy beach is a tourist destination. Ban Kan Lueang Archaeological Site (???????????????????????????) - It is an archaeological site which can be dated back to 2,800-2,500 years ago. In 1996, the Fine Arts Department found a number of artefacts such as beads, pottery, bronze bells, iron axes and chaff. Wat Sa Prasan Suk or Wat Ban Na Mueang (??????????????? ???? ??????????????) - The temple houses a special Ubosot in the shape of the Suphannahong Royal Barge decorated with mosaic. The abbot is Achan Bunmi. Hat Khu Duea (??????????) - The beach by the Mun River is 12 km (7.5 mi) from downtown Ubon Ratchathani via Highway 24. Ban Pa-ao (?????????) - The ancient village is situated in Tambon Nong Khon. 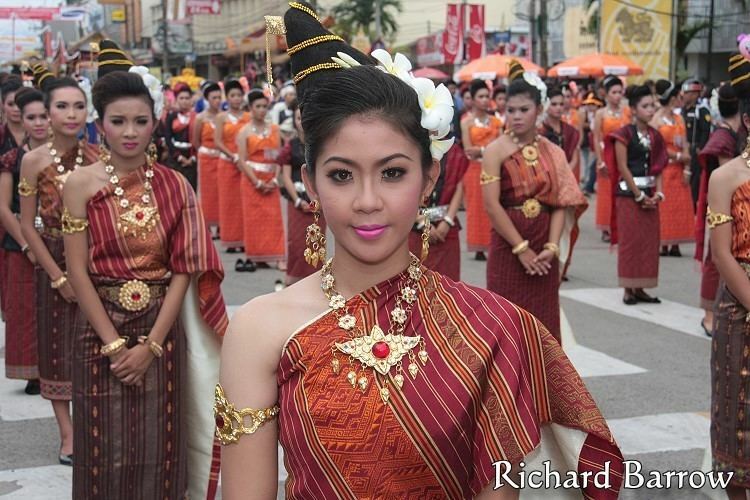 Two centuries ago, the villagers immigrated from Vientiane during the reign of King Siri Bunsan. The village produces brass work in an ancient style. Wat Nong Pa Phong (????????????) - The temple is situated in a lush forest of Tambon Non Phueng. Monks study and practice Vipassana meditation there. The temple has the Phra Phothiyan Thera Museum that displays the eight requisites and wax model of Luangpu Cha. Wat Pa Nana Chat (??????????????) - Numerous foreign monks study and practice Vipassana meditation here; most of them can speak Thai fluently and pray in Pali. The monks observed strict practices. Wat Phukhao Kaeo (????????????) - The temple has a Ubosot delicately decorated with a tiered roof covered with terracotta tiles and supporting a golden spire in the middle. Inside is a high-relief regarding important Phrathats, relic-containing pagodas, of Thailand. Kaeng Saphue (?????????) - The rapids in the Mun River. ‘Saphue’ derives from the word ‘Samphuet’ in Suai ethnic language which means large serpent. Sirindhorn Dam (?????????????) - Called Khuean Dom Noi by the people of the area, the rockfill dam with a clay core was constructed across the Lam Dom Noi, a tributary of the Mun River. The hydroelectric dam is 42 metres high and 940 metres long. Chong Mek (????????) 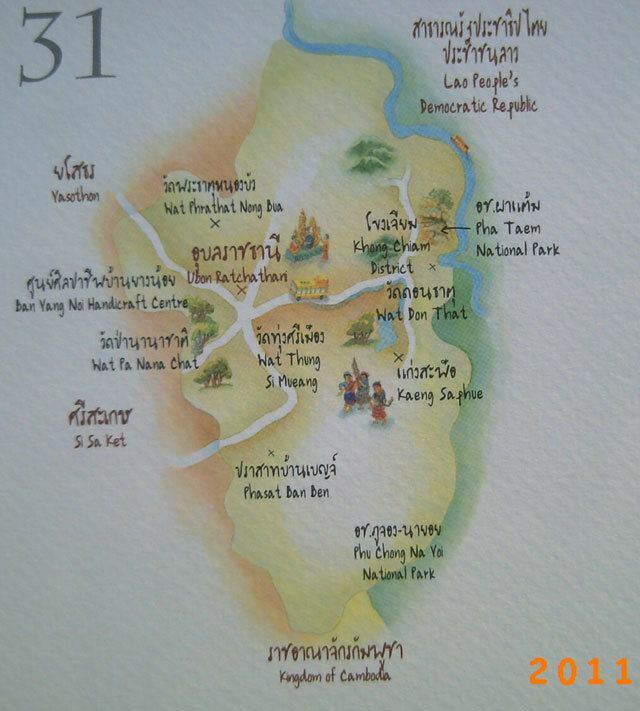 - The permanent Thai-Lao border pass is 90 km (56 mi) from downtown Ubon Ratchathani. The pass is a land bridge to Champasak Province. Don Tana (???????) - An island in the middle of the Mun River 450 m (1,480 ft) wide and 700 m (2,300 ft) metres long. Kaeng Tana (????????) - The largest rapids of the Mun River. In the middle of the rapids, there is a huge sandstone boulder splitting the river into two streams, and a concrete block built during the French Colonial Era to identify a channel for cruising. Tham Phra or Tham Phu Ma Nai (????????????????????) - A stone inscription and Lingam base or ‘Yoni’ from the 7th-8th Century were found. Now the original stone inscription is kept in the National Museum, Ubon Ratchathani. Namtok Rak Sai Nature Trail (???????????????????????????????) - The trail lines the cliff by the Mun River, 500 m (1,640 ft) from the park’s headquarters. It runs by the cliff for 1 km (0.62 mi). through various kinds of flora, such as lichen, moss, and fern, Tham Phra and Namtok Rak Sai. Namtok Tat Ton (???????????) - The waterfall is situated on Highway 2173, off Highway 217 by 5 km (3.1 mi). Annamese Lion Pulpit at Ban Chi Thuan (?????????????????????????????????) - The Buddhist pulpit is placed at Wat Sinuan Saeng Sawang Arom. The concrete pulpit itself is unique, with a lion sculpture carrying the pulpit with decorative stucco, multi-layer wooden roof, and painting in the Annamese style. Wat Thung Si Wilai (??????????????) - The temple houses Luangpho Wiset, the principal Buddha image carved from laterite seated beneath the Nagas hood. The Buddha image from the Dvaravati period is considered a sacred icon for the village. The temple is surrounded by several enclosures of Sima stones that mark the temple’s consecrated boundary. Wat Tham Kuha Sawan (????????????????) - The temple was built by Luangpu Khamkhaning Chulamani to be a place for meditation practice where he also resided. After his death Luangpus death his body, which did not decompose, was put in a glass coffin and is considered sacred. Maenam Song Si (???????????) - At the mouth of the Mun River, Ban Woen Buek. The Mun River runs into the Mekong, so we can see two rivers, in two different colours – ‘Song Si’ means two colours - blending together. The Mekong River is reddish brown, while the Mun River is rather blue. Sao Chaliang (?????????) - Carved by wind and water for millions of years, the mushroom-like stone towers are scattered around the area containing shell fossils, sand and gravels in their texture. Geologists think that over a million years ago this area was a sea. Pha Taem and Pha Kham (??????????????) - The towering cliffs house groups of prehistorical paintings which date back to 3,000-4,000 years ago. There are over 300 paintings in five categories including animals, geometrical motifs, rice farmers, hands, and ‘Tum’ or typical fish trap. Namtok Soi Sawan (????????????????) - Two streams, Huai Soi and Huai Phai, combine and plunge 20 metres down to the pond below, making the waterfall look like a necklace – ‘Soi’ in Thai. Namtok Thung Na Mueang (????????????????) - The medium-sized waterfall cascades down a 25-metre cliff through flowerbeds which are in full bloom between October to December. Namtok Saeng Chan or Namtok Ru (?????????????????? ???????) - The tiny fall is special as the stream falls through a hole – ‘Ru’ – down to the pond below. At noon, sunshine through the hole makes the waterfall look like a ray of moonshine – ‘Saeng Chan’. Dong Na Tham Forest (??????????) - From September to November is the best time to visit as flowers are in full bloom. There are waterfalls and fogs over the Mekong River. From January to March the forest changes its hue, with trees shedding their leaves, and cruises in the Mekong run from Ban Pak La to Khan Tha Kwian. Wat Phu Anon (???????????) - The temple has interesting attractions including a rock terrace with large footprints, nature-made stone jar, and cave painting. Phu Lon (??????) - The mountain is in Tambon Song Yang, 20 km (12 mi) north of Amphoe Si Mueang Mai. It has a cave where monk Phra Achan Man Phurithatto practiced his Vipassana. Namtok Huai Sai Yai or Kaeng I Khiao (????????????????? ???? ???????????) - The waterfall is in the Buntharik - Khao Yot Mon Wildlife Sanctuary. The waterfall runs over the rock terrace among a shady environment. Namtok Huai Luang or Namtok Bak Teo (????????????? ???? ???????????) - Plunging down three steps from an elevation of 30 metres, the waterfall has a small pool with a white beach and turquoise coloured water. Phlan Yao Rock Garden (?????????????) 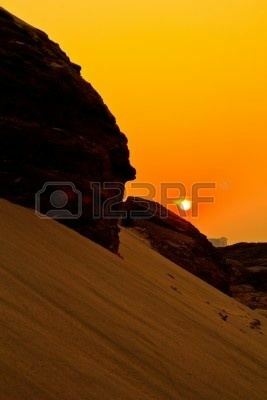 - Rocks in different formations are scattered around the area. Pha Phueng Viewpoint (???????????????????) - The viewpoint is just next to the rock garden. Namtok Koeng Mae Phong (????????????????) - The waterfall is 9 km (5.6 mi) south of Namtok Huai Luang along the nature trail. It originates from the Lam Dom Noi Stream. Phlan Kong Kwian (????????????) - The vast rock terrace with rock shelters at the front is home to wild flowers and plants. In previous days, travellers could seek shelter her; it came to be called Phlan Kong Kwian, which means cart terrace. Phu Hin Dang (?????????) - a cliff-top place to view the forest scenery of Lao PDR. and Cambodia. The cliff is brightly coloured; geologists explain that this is due to dry weather millions of years ago catalyzing mineral residues in the seawater. Namtok Kaeng Lamduan (??????????????) - The fall is situated in the compound of the Ubon Ratchathani Wildlife Reservation Promotion and Development Station. The waterfall runs over a rock terrace and through the shady forest of Lamduan trees. Prasat Ban Ben (???????????????) - The Khmer sanctuary is a religious site comprising three brick Prangs on separated laterite bases. The Fine Arts Department excavated the site in 1990 and found lintels featuring nine directional guardian angels and the God Indra on his Erawan heavenly elephant. Flower Festival (????????????????????????) - Held every February at Thung Kham Nam Saep Stadium, Amphoe Warin Chamrap, the festival features floral floats, decorative and flowering plant contests and fair. Kaeng Saphue Songkran Festival (??????????????????????????????) - Held every April in Amphoe Phibun Mangsahan, the festival comprises a beauty contest, fair, local sports, and local music contest. Illuminated Boat Procession (???????????????????) - Held every October to mark the end of the Buddhist Lent, boats from different temples will illuminate the river near the Rattanakosin Bicentennial Bridge. Traditional Boat Races (????????????????????????) - Several boat racing tournaments are held annually in October after the end of the Buddhist Lent. The Mueang Ubon Ratchathani Municipality’s tournament is held near the Rattanakosin Bicentennial Bridge. Tambon Phibun Mangsahan Municipality’s tournament is held near the Mun River Bridge, and Wat Pho Tak’s tournament is held in front of the temple.